Every online retailer wants to convert more visitors into sales. However, the hard fact is that 98% of website visitors probably won’t buy from you the first time they visit your site. You’ve invested in a fantastic website, with carefully crafted content. It’s bringing in loads of traffic, but you want to increase conversions and sales. This is where retargeting (also known as retarget marketing) comes in. In this post, we look at retargeting, telling you what it is, how it works, and why PPC marketing is a cost-effective tool when it comes to driving sales online. Say you’ve been window shopping for something online – maybe you’re looking for a new coat. You head to a website, check it out, compare prices, and then leave the site to do something else. Maybe you get distracted, maybe you’re not ready to buy yet – but whatever the reason, you leave the site without making a purchase. For the next week, you keep seeing adverts for that very same coat, from the very same website - following you around online. Retarget marketing allows you to follow customers who have been on your site around the web, putting relevant ads in front of them when they are visiting other sites. Major search engines such as Google Ads, Bing Advertising and social media giants Facebook all allow users to remarket to their customers. 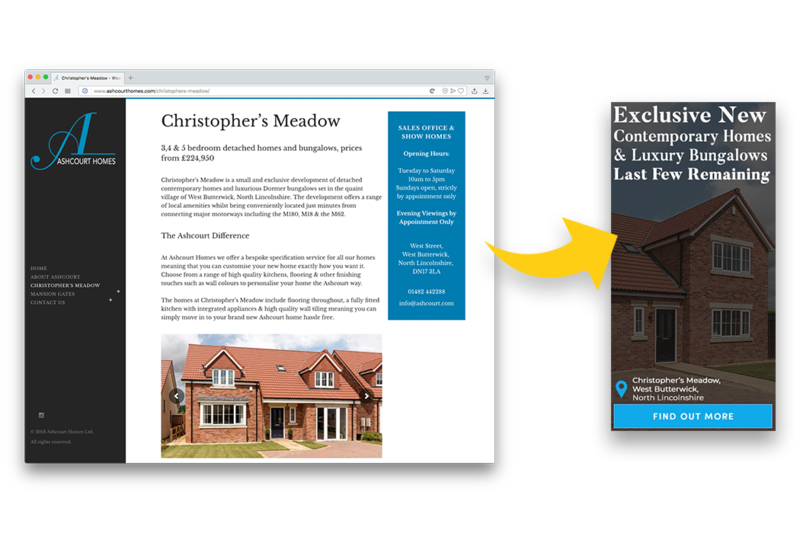 With retargeting, you place a bit of retargeting code into your site - which drops an unobtrusive, anonymous browser cookie on the visitors that hit that page. You then use these cookies to build a retargeting list, before hitting the list with relevant adverts when they’re browsing the web. When these visitors leave your website, they’ll start to see clickable ads across other sites – which drives them back to your site! For this reason, retarget marketing tends to be particularly effective for online retailers selling consumer products. Done right, as part of your wider digital marketing and paid advertising strategy, retargeting really works – helping to improve conversion rates turn one-time web visitors into paying customers. It’s really targeted – you know retargeting is hitting the right people, because they’ve already spent time looking at your product or service. This is reflected in up to 10x the click through rate when compared to display ad campaigns. It drives traffic and increases conversions – retargeting actively pushes potential customers back to your site, raising awareness of your brand and increasing the chances that visitors convert into paying customers by around 70%! Retargeting isn’t a silver bullet, and there are other forms of marketing that work more effectively if you’re looking to drive traffic to your site (like content marketing, AdWords and display). What retargeting is, is a really effective tool to improve conversion rates as part of your wider digital marketing strategy. Is your business converting traffic into sales? Want to do more business online? Are you looking for a locally based PPC agency? At Eyeweb, our digital marketing team specialises in helping businesses to achieve their commercial objectives through effective, targeted and tested digital marketing support. Working with you to understand your business, audience and goals, we’ll create, develop and implement an effective strategy focused on your goals. For additional information about any aspect of retargeting and digital marketing, or to arrange a free, no-obligation consultation with our digital marketing team, please get in touch by calling 01482 628830, or by emailing hello@eyeweb.co.uk today.